DESTINED TO BECOME THE WAX OF CHOICE IN AMERICA’S HOMES! Classic Wax is an environmentally friendly wax polish derived from years of experience producing quality wood finishing products for the Pine furniture trade by Flag Finishes. Founded in 1939 in Burnham-on-Crouch, Essex, England, FLAG Paints & Finishes is the manufacturer of high quality, time-tested finishes. 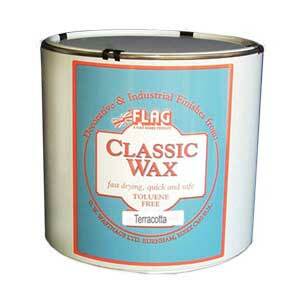 Classic Wax is toluene-free, safe and easy to use, giving an excellent shine. 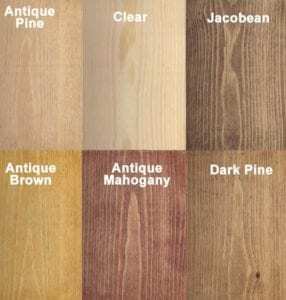 It is specially formulated to achieve a professional finish to wood with a minimum amount of effort. Some paste waxes on the market today use solvents like toluene and xylene as the base. Briwax, in both the Original and TF formulas use these very hot, toxic distillates. Since the 1990’s, this chemical group has received added scrutiny from regulatory agencies resulting in extra care notices and advisories when used. 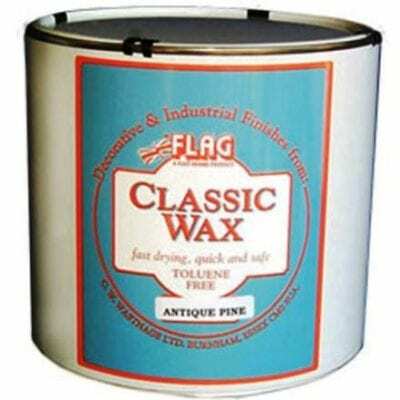 FLAG paints has answered the call and developed a toluene & xylene free formula using the finest wax blends. Except for a little extra drying time, the result is outstanding! NO PATINA LOSS…the trademark of quality paste waxes. Wood craftsmen can confidently use Classic Wax to protect, restore and recondition fine furniture and antiques to their original patina. This patina was only achievable with laborious hand rubbed polishes before the advent of properly blended Toluene-free polishes, like Classic Wax. 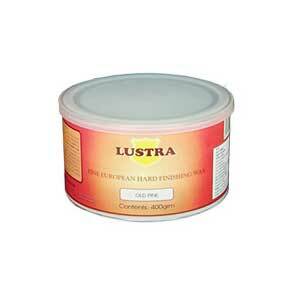 For those who prefer a hard finishing wax using a hot solvent the traditional LUSTRA paste wax is the answer. Both of these fine waxes were formulated for use by the quality conscious American do it yourselfer, the professional woodworker or refinisher and those who simply want to keep their antiques and household furnishings in top condition. 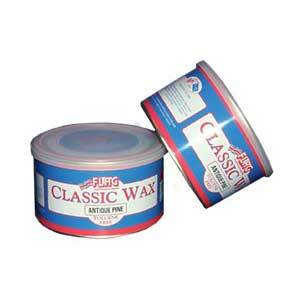 Renew it with CLASSIC WAX!! Reduce concerns about Toluene and Xylene use!